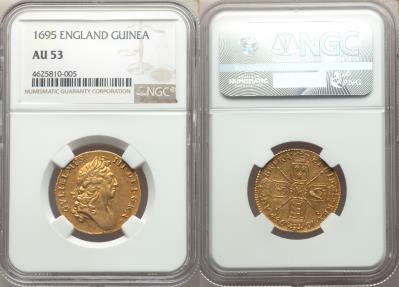 A conservative certification for a wonderful example of this scarce guinea. The fully-defined features of this coin are overlayed with a gentle peach tone, and one would imagine this will darken over time into a dramatic and appealing red. 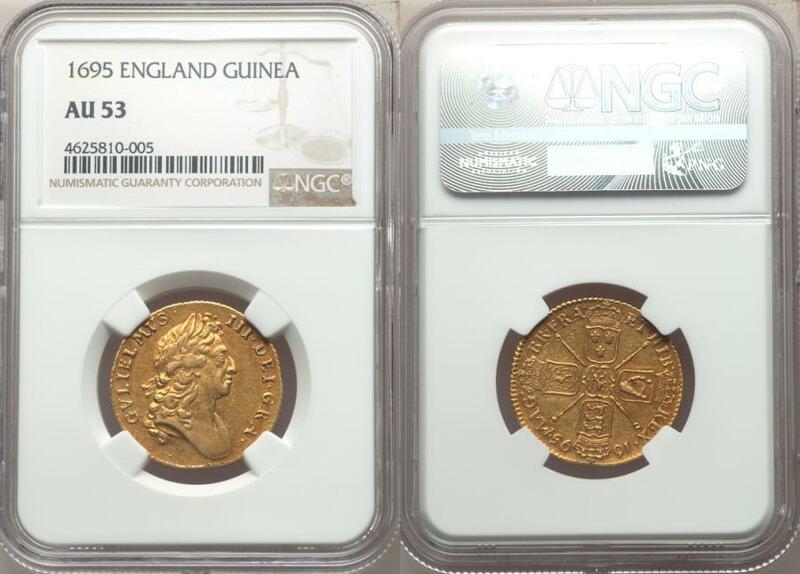 The fields seem free of any severe contact marks or scratches, and indeed the overall quality of this coin is far above what is average for the somewhat softly-struck series of the 1690s.